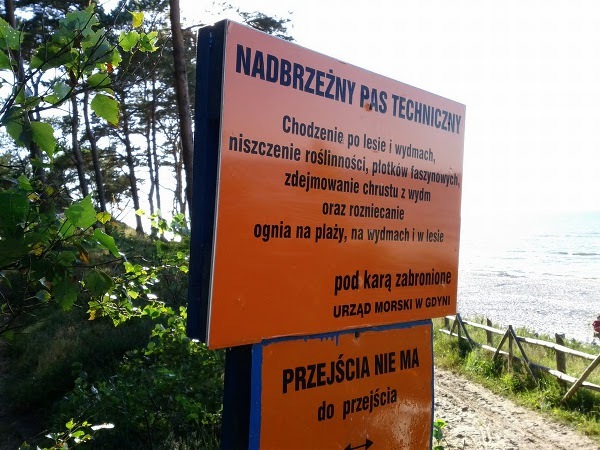 This year we spent our family summer holidays in Poland at the coast of Baltic. Although the water is a bit colder we prefer it to most of the Med as the beaches are large, clean with pristine white sand and not too many people. Our English friends who joined us this year said these were some of the best beaches they have ever been on. Roughly it lists all the things you are forbidden to do or destroyed and that otherwise you face penalties. I would love to see the authorities being brave to try such approach. I wonder if it would work. I wonder if it would save money.